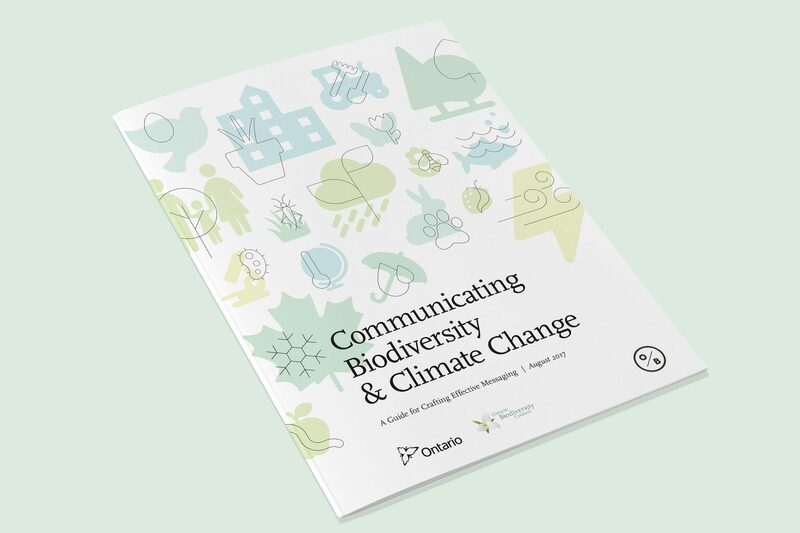 Biodiversity and climate change are inextricably linked: climate change threatens Ontario’s biodiversity, while biodiversity improves Ontario’s resilience and adaptability to a changing climate. In order to protect and preserve our existing biodiversity while encouraging sustainable production and growth, we need to find ways to encourage meaningful action in varying contexts. The Ontario Biodiversity Council–an organization made up of 35+ member organizations including conservation and environmental groups, industry associations, Indigenous organizations, academia and government agencies–asked Office/Bureau to help them develop communications that link these two vital topics. We performed a jurisdictional review and hosted a workshop with member organizations and stakeholders to identify common challenges in communicating the relationships between biodiversity and climate change. As part of this process we mapped out best practices for overcoming these challenges, and delivered a report for distribution across the province.